Widely known theological educator and sociologist Carol Lytch presents this well-researched study of what attracts teenagers to the church and what keeps them there. The cogent research includes interviews of a number of teenagers and their parents from mainline Protestant, evangelical, and Roman Catholic congregations. 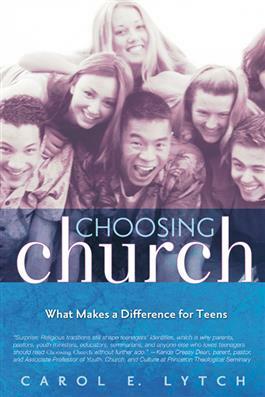 Groundbreaking and fascinating, Choosing Church ultimately serves as a highly useful description of the most effective ways that congregations and parents can foster faith in teenagers that will help them value the church as a place to obtain identity, belonging, and growth. Family Ministry(Vol. 19, No. 3, Fall 2005)"For parents and other adults who worry abouttheir teen's commitments to a vibrant faith and a future church, Carol Lytch's book is a good wordto hear and a good book to read and take toheart."